“Beránci a vlci (“Lambs and wolves”) is my personal vision of Moravian world music,” says Marian Friedl, who is a brilliant player both on his handmade folk flutes and on the jazz bass. 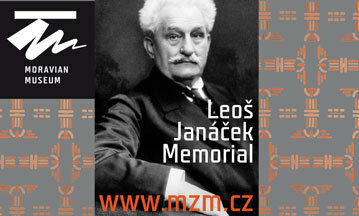 It was his experience with different genres, ranging from folk to free jazz, together with the cooperation with style-wise similarly open Jitka Šuranská, that led to the creation of an extraordinary kind of music with roots in the performance Z kořenů k world music (“From roots to world music”) at the Folk Holidays in Náměšť nad Oslavou. Thanks to a grant from the Ministry of Culture, the album Beránci a vlci had the participation of four musical formations of different styles (together comprising of more than twenty musicians and singers) and deservedly won the Anděl prize in the Folk category (newly including the genre of world music). In the meantime, the concert premiere of Beránci a vlci took place in the summer of 2017, again in Náměšť nad Oslavou (with the participation of album publisher Milan Páleš dressed as the sheep grandmother) and other festival performances followed – at the Hradecký slunovrat in Hradec nad Moravicí and at Colours of Ostrava. It was a small dream of Marian Friedl and all his lambs and wolves to bring this music into the aurally clean space of the Brno Sono centre, which was made possible thanks to a successful crowdfunding campaign. The roughly hour-long concert was not only merely the performing of the EP, but mainly a huge celebration and maybe even a new start for the project – a new direction towards greater and greater halls. In Beránci a vlci, Friedl’s Beskydy folk group RukyNaDudy (“It’s focused on old instruments that no one can really play here. Really, you won’t find another band like this in the world,” says the band-master) met with the purely folk women’s choir from Kudlovice near Uherské Hradiště. The connection between the north and south of Moravia, between the focus on instruments and the focus on vocals and between the male and female aspect is the Trio Jitky Šuranské, which is made up of Jitka, Marian Friedl and mandolin player Martin Krajiček, another “genre omnivore” in the best sense of the word. His instrument is not however the most exotic element in the seemingly folk project. What is at first perhaps slightly disruptive, but in the end again connecting is the fourth formation, the Sdružení nezávislých jazzmanů (Association of Independent Jazzmen). 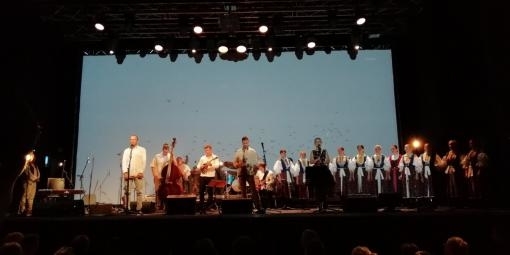 By connecting several sound and musical aesthetics, connecting folk songs and Friedl’s own work and by looking for the borders – of music, texts, feelings… - an extraordinary work is created, which understandably isn’t easy to bring from EP to the stage. It is however pointless to compare what worked better on the album or what on the other hand is the strength of the live performance. I am rather glad to state that from the live premiere in Náměšť, Beránci has taken a huge step forward. If the impression from Folk Holidays was good, albeit with a few reservations, then this evening was almost perfect, at least from a musical point of view. In particular, I noticed a much more organic connection to the jazz part of the ensemble and generally fewer deaf spots. The entire hour felt like a thought-out whole, including the entries and departures of the singers to the podium and the intermingling of seemingly unconnectable moments. My only small complaint is to the moment when Jitka Šuranská and Michalea Vítová helped themselves out before a mix of wedding songs with a short dialogue. I think it was unnecessary and rather slowed the pace rather than moving the plot forward. On the other hand, a great positive element was the connection of music with film projection. A film on the borders of video, nature documentary and lyrical pictures, projected on a large screen behind the musicians fitted perfectly with the songs. Shots of dancing feet, hands holding water and aerial shots illustrated the plot and prompting the audience to think of other possible interpretations without drowning the musical experience. The strongest visual moment was the connection of the wedding songs with shots of two snails (let us for a while ignore the fact that snails are hermaphrodites). That Beránci a vlci are certainly, at least in a Moravian context, is extraordinary, was also confirmed by the second part of the programme: a half-hour long naming of the sponsors and supporters, toasts and the best wishes for future successes. The roles of the fates were taken by three men who undeniably belong in this genre-crossing music – the Slovakian violinist Stanislav Palúch (worked as a producer with Jitka Šuranská and her trio, Michal Schmidt, the dramaturge of the Folk Holidays in Náměšť and Jiří Plocek, Jitka’s co-player in the project Hudecká úderka, mandolin player (one of the teachers of Martin Krajíček) and a great music expert. It was their presence at the podium – much more than the humorous entry of another well-wisher, the mayor of Kudlovice – that set Beránci a vlci into a wider context. It is another testament to the extraordinary value of Beránci a vlci that the audience patiently waited in the very full Sono centre for the length of the half-hour of well-wishing and rewarded the final encore with a thunderous applause. I don’t know, if the vision of Moravian world music of Marian Friedl will one day get to New York, as was said on stage, but I certainly hope that Beránci a Vlci do. The JAZZFESTBRNO Festival is expanding this year with the new Tension programme line, which will feature musicians on the borderline between jazz and electronic music. One of the performers who will appear on 28 March in the Praha space in Brno will be the Czech-Ukrainian duo Zabelov Group, which has recently released a new album called Eg. This interview with Roman Zabelov (accordion, voice, piano, organ, harp…) and Jan Šikl (drums, trumpet, guitar, percussion…) was done in a Prague café just before a rehearsal of the band. Brno City Theatre: Auditions for the Musical Mamma Mia!